Next year, the United Nations’ convention on mediation is to be named after Singapore. The city-state’s position as a neutral mediator has been in focus since hosting the U.S.-North Korea summit on June 12. However, Singapore has also been the partner of choice in facilitating cooperation, particularly for businesses, between the larger conflicting nations, China and India, since 2015. 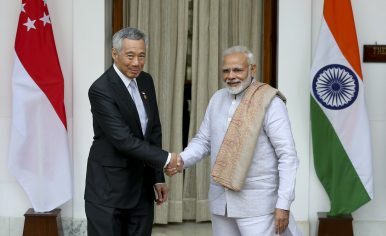 What is especially interesting is Singapore’s role in India, where it has acted as an intermediary for Chinese investment as a part of the Belt and Road Initiative (BRI). The success of Sino-Indian cooperation on the commercial front lends hope for the future of the political relationship considering the recent warming of ties between the two states. With Afghanistan and Pakistan as the staging grounds, politics in South and Central Asia appears to be coming full circle with the making and breaking of alliances involving major regional and international actors. The switching of goalposts by the erstwhile Cold War-era allies — keeping their converging and diverging geopolitical, geoeconomic, and geostrategic interests in mind — apparently indicates the beginning of a new “Great Game” in the region. Russia’s re-emergence under Vladimir Putin; China’s vision of greater connectivity in Eurasia through Xi Jinping’s ambitious Road and Belt Initiative (BRI); America’s quest to safeguard its interests in the region by not losing the war in Afghanistan and containing China’s growing economic and military clout; India’s outreach to the world markets to compete Xi’s China; Pakistan’s struggle to retain its strategic importance by taking sides; and Afghanistan’s desire for lasting peace – these are some of the key drivers spurring the race. Mohammad Tahir Khedri returned home from his carpentry workshop in the evening of September 5. He had just made it home when his phone rang: A suicide bomber had shot dead the guard of a wrestling club and then blew himself up inside the gym. Khedri, a 31-year-old father of four, rushed to the scene to help evacuate the wounded. He passed by a car packed with explosives that was parked nearby. The bomb went off. 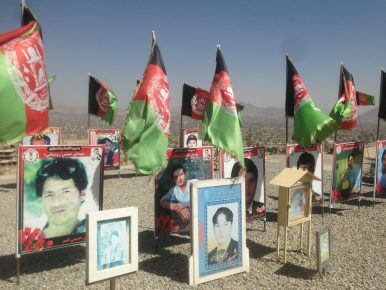 Khedri was among 20 other civilians as well as two local journalists that lost their lives in the twin blasts in a Shiite-dominated area of the Afghan capital, Kabul. Seventy others were injured, mostly young athletes. It has been a while since cyber and space were recognized as rising domains in both the economic and national security arenas. It is natural that the more popular each of these two domains becomes individually, the more attention the integrated domain captures from the public. 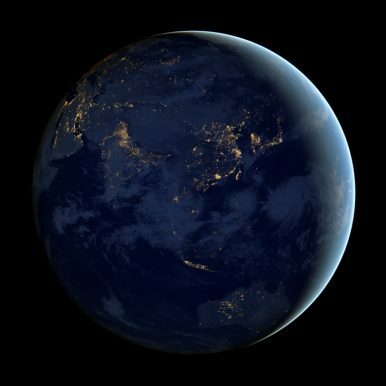 One of those areas is satellite-to-ground quantum communication, and today many Indo-Pacific nations have joined the race to develop related technologies. Quantum communication through satellite transmission is, in simple terms, the mixture of two distinct technological realms: quantum mechanics-based communication and satellite communication (SATCOM). The former is enabled by the transmission of information-carrying photons (particles of light) and cryptographic methods (such as quantum key distribution), and is often referred to as “unhackable.” Due to the law of quantum mechanics, the status of the photons used for the communication transforms and generates a warning signal when a hacker attempts to steal information. Given the increasing demand for secure communication in general, this technology is considered one of the most promising solutions for the future. The former Symantec CEO also thinks immigration is key to a tech race the US is currently losing. Michael Brown, the former Symantec CEO who just became the new head of the Defense Innovation Unit, believes that the United States must act now to avoid further falling behind China in a tech race. In a recent interview, several of his goals and recommendations struck a very un-Trumpian tone. Founded as the Defense Innovation Unit Experimental, DIU was established in 2015to better connect service components and combatant commands with startups and non-traditional players in information technology. To date, they’ve completed 84 contracts. Last fall, the Chinese Communist Party (CCP) declared its goal of turning China into a “cyber superpower,” with improved capabilities and influence in areas ranging from domestic censorship to global internet governance. 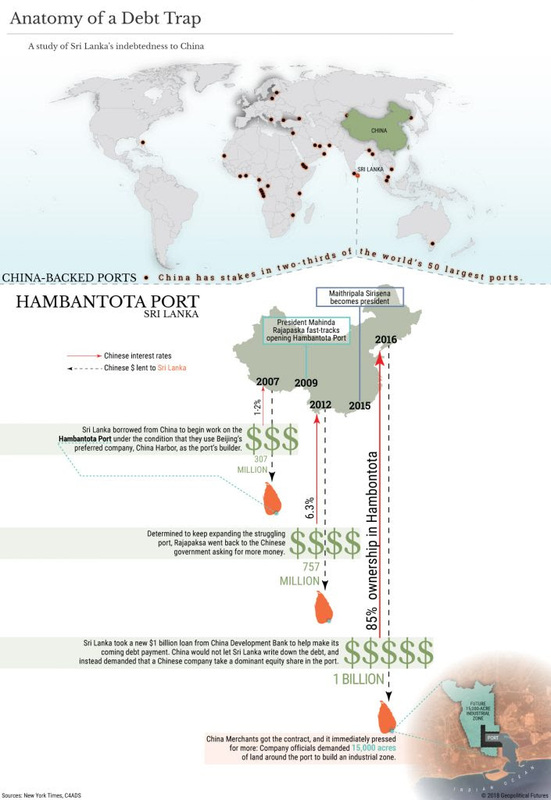 The regime has made important progress since then, often with the help of Chinese and foreign corporations. But these gains come with a cost, not only to human rights and internet freedom, but also to the cooperating technology firms’ profits and reputations. We are in treacherous times. Everyone seems to agree: From Henry Kissinger to Barack Obama to former British Prime Minister Gordon Brown, all have recently said that the current time is an ominous one. U.S. President Donald Trump has created disarray in the global order. Brexit looks increasingly impossible to deliver smoothly. Even countries as spick and span in their orderliness as Sweden have swung toward the more extreme spectrum in their politics. Suddenly the 1990s and the 2000s seem very straightforward. The era of the populists is looking increasingly clamorous and fractious, with the political temperature rising almost as precipitously as the physical one under the impact of climate change. “New U.S.-China Tariffs Raise Fears of an Economic Cold War,” proclaimed a Washington Post headline. The New York Times alleged that the United States and China were already “on the cusp” of such a “new Cold War.” Driving this hysteria was the Trump administration’s Monday announcement unveiling tariffs on an additional $200 billion of Chinese imports, followed nearly immediately by a Chinese promise to retaliate. This back-and-forth has been ongoing since January, and a resolution does not seem anywhere close, if one’s even possible. Each weekday evening, get an overview of the day’s biggest news, along with fascinating ideas, images, and voices. The Israeli approach to counterterrorism (CT) is unique because terrorism there is ever-present and takes many forms; it may occur from within Israel, it may take place from Palestinian territories, it may come from across the border or from further afield. The attack may be a one-off suicide bombing or a knife or car rampage or the kidnapping of an Israeli soldier. The terrorists themselves are different too in that they may be Arab, Palestinian, Arab-Israeli or even Japanese. The evolving nature of the threat led Israeli policymakers to eschew the idea of having an official counterterrorism doctrine. Instead Israel has taken a more organic, holistic approach to CT that relies on innovation and creativity and is aimed at deterring and creating divisions within terror groups, and between the groups and their constituencies through coercion and/or persuasion. Israel has sought to stay neutral in the trade war U.S. President Donald Trump is waging against China, in particular its technology ambitions, and hasn’t formally joined in Western boycotts against Russian companies. But behind the scenes, conversations with industry figures make clear that Israel has an undeclared policy not to use equipment made by Huawei and ZTE, two major Chinese companies, in telecoms networks – although they can and do sell end-user equipment like smartphones. Likewise, the Russian cybersecurity and anti-virus provider Kaspersky Lab has been kept at arm’s length. “It’s well known, something very basic, that even though you will never see it written in any document, critical equipment used in operating telecoms networks and no key supplier will ever get approval to buy from a Chinese company,” said the CEO of an Israeli cellular company, who asked not to be identified. With the Islamic State largely eliminated militarily and the Bashar al-Assad regime in control of Syria’s densely populated western reaches and pausing prior to a major campaign to retake Idlib, a major rebel stronghold, the Syrian civil war is entering a new phase. Iran, Israel, Russia, Turkey, and the United States are still engaged in the conflict, while Qatar and Saudi Arabia seem to be out. Three separate regional battles among the remaining players—in Idlib, in the territory near the Golan Heights, and in Syria’s eastern reaches—will determine the country’s future. For all the brave talk on Capitol Hill about “crushing” new sanctions against Russia, you’d think that someone might have done their homework about what actually makes the Russian economy tick, let alone whether any of the ideas circulating among U.S. policy experts are likely to change the Kremlin’s calculus. U.S. nuclear strategy rests on a foundation of fear. Its core precept is that if adversaries know they cannot avoid retaliation, they will not attack. That is why Washington spends billions of dollars each year sustaining a strategic force no enemy can destroy in a surprise attack. It is the fear of what follows that deters nuclear aggression. In a world of only two nuclear powers and few foreign entanglements, that might be a simple story to tell. 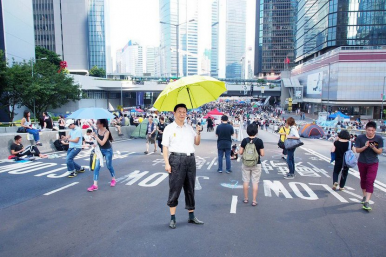 But this is not a simple world -- at least, not for the sole remaining superpower. America has allies on every continent, and it has extended nuclear guarantees to many of them. 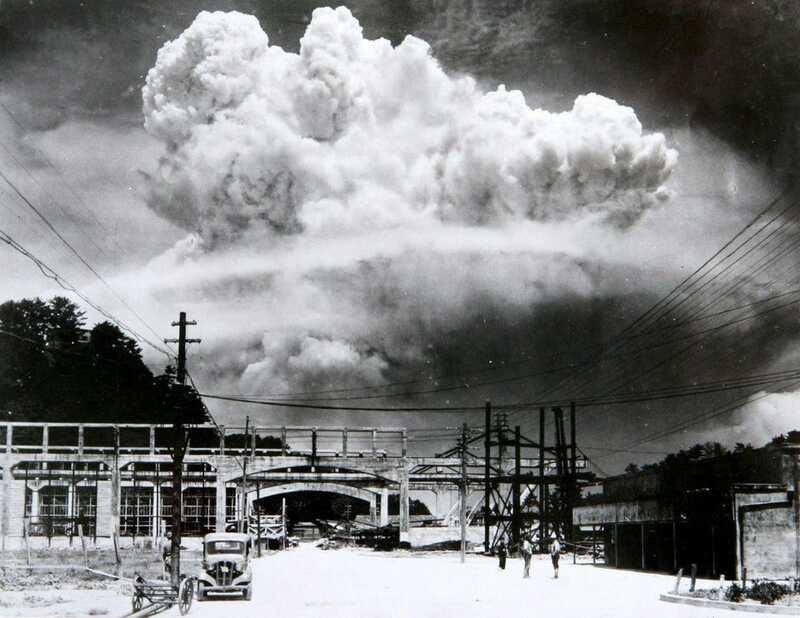 For instance, if Germany or Japan were the victim of nuclear aggression, Washington might decide to retaliate in kind against the attacker. What happens after that is anyone's guess. What Is the Purpose of U.S. Sanctions on Russia? On September 20, Washington's announced new sanctions on 33 Russian individuals or entities for election interference. In addition, America’s November deadline is approaching for Russia to meet Washington’s demands for international inspections and guarantees that Moscow will never use chemical weapons again. Assistant Secretary of State Manisha Singh warned during testimony to Congress on September 13, that without compliance a “severe” “second tranche of sanctions” will be imposed. It is not clear what sanctions are meant to accomplish or whether they are working. For instance, the September 20 sanctions were a part of the Countering America’s Adversaries Through Sanctions Act (CAATSA). They are meant “to impose costs on Russia in response to its interference in the United States election process, its unacceptable behavior in eastern Ukraine, and other malign activities.” Also, the November deadline and demands were made on August 27 after Russia used the Novichok nerve agent in an attempted assassination of former Russian spy, Sergei Skripal, and his daughter Yulia, in the United Kingdom. In that case, U.S. anti-biochemical weapons law required a response. China’s senior diplomat has demanded the US stop viewing China with a cold war mentality to keep the Sino-US bilateral ties on a healthy track as tensions between the two sides continue to rise. Foreign Minister Wang Yi made the comments to former US Secretary of State Henry Kissinger during a meeting on the sidelines of the United Nations General Assembly in New York on Tuesday. The meeting came a day after Wang warned US business representatives that Washington was putting four decades of gains in the Sino-US relationship at risk of “total destruction”. “China and the US can have competition, but they should not view others with a cold war mentality,” Wang said in a foreign ministry statement, using the term describing the rivalry between the US and former Soviet Union. The White House took a first step this week to fulfill President Donald Trump’s campaign pledge to launch “crippling, crippling” cyberattacks on adversaries to protect U.S. computer systems, unveiling a new strategy that will allow the United States to take the offensive in cyberspace. 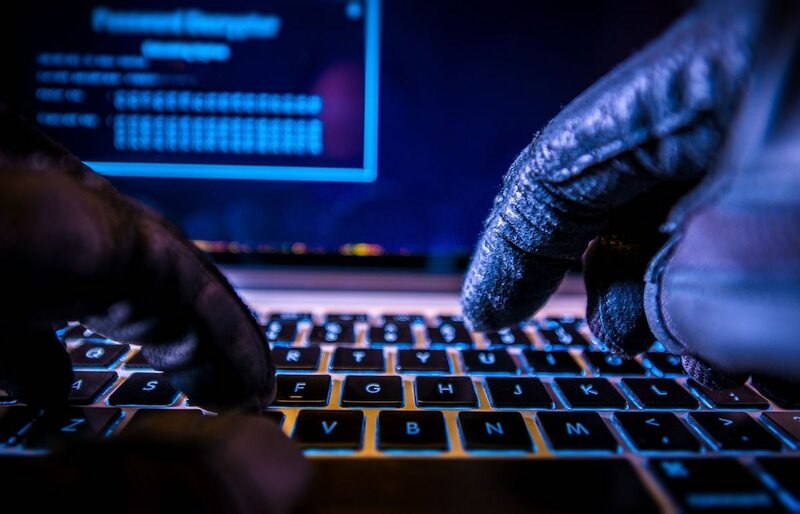 But experts warn that the new cyber strategy risks exposing the United States to blowback and turning the internet into a Wild West of hacking operations. In rolling out the administration’s new “National Cyber Strategy,” National Security Advisor John Bolton said that Trump had removed restrictions on the use of offensive cyber-operations and replaced them with a more permissive legal regime that gives the Defense Department and other agencies greater authority to penetrate foreign networks to deter hacks on U.S. systems. “Our hands are not tied as they were in the Obama administration,” Bolton said. Earlier this month, Syrian regime forces hoisted their flag above the southern town of Daraa and celebrated. Although there is more bloodletting to come, the symbolism was hard to miss. The uprising that began in that town on March 6, 2011, has finally been crushed, and the civil war that has engulfed the country and destabilized parts of the Middle East as well as Europe will be over sooner rather than later. Bashar al-Assad, the man who was supposed to fall in “a matter of time,” has prevailed with the help of Russia, Iran, and Hezbollah over his own people. Washington is too busy over the furor of the day to reflect on the fact that there are approximately 500,000 fewer Syrians today than there were when a group of boys spray-painted “The people demand the fall of the regime” on buildings in Daraa more than seven years ago. But now that the Syria conflict has been decided, it’s worth thinking about the purpose and place of the United States in the new Middle East. The first order of business is to dispose of the shibboleths that have long been at the core of U.S. foreign policy in the region and have contributed to its confusion and paralysis in Syria and beyond. As connections deepen between emerging nations, will America be left out of the loop? President Donald Trump promises huge wins for the United States in the global trade arena, claiming he will use America’s market size and buying power to write better deals. It’s a worldview that assumes America’s economic might gives it almost unlimited leverage – and that the rest of the world will need to play ball if it wants access to American customers and finance. That may once have been true. But a closer look at just how global trade has been re-aligning suggests that it’s likely to keep growing with or without us – and increasingly, it’s without us. Globalization is alive and well, regardless of whether the trade routes run through the US. And if an “America First” White House does start to retrench and retreat, there’s a good chance the biggest loser will be America itself. What Happens When a Major Mexican Cartel Leader Falls? As the most powerful and aggressive cartel in Mexico today, the Cartel de Jalisco Nueva Generacion (CJNG) will continue to drive record levels of violence as it battles rivals for control around the country. Because of the high levels of violence perpetrated by the CJNG, Mexican authorities will ultimately capture or kill the cartel's leader, Nemesio Oseguera Cervantes – also known as "El Mencho." The removal of Oseguera Cervantes, however, is likely to provoke more violence if the CJNG implodes into a host of competing smaller criminal groups. When U.S. President Donald Trump spoke to the United Nations General Assembly yesterday, he deliberately signaled a definitive break with the internationalist consensus that has guided U.S. grand strategy since World War II. “We will never surrender America’s sovereignty to an unelected, unaccountable global bureaucracy,” he proclaimed. “Sovereign and independent nations are the only vehicle where freedom has ever survived, democracy has ever endured, or peace has ever prospered. And so we must protect our sovereignty and our cherished independence above all.” He was dumping cold war water on multilateralism and global governance—and the commentary that followed duly noted just how sharply his message diverged from those of his predecessors. When a blue-hulled cargo ship named Venta Maersk became the first container vessel to navigate a major Arctic sea route this month, it offered a glimpse of what the warming region might become: a maritime highway, with vessels lumbering between Asia and Europe through once-frozen seas. Years of melting ice have made it easier for ships to ply these frigid waters. That’s a boon for the shipping industry but a threat to the fragile Arctic ecosystem. 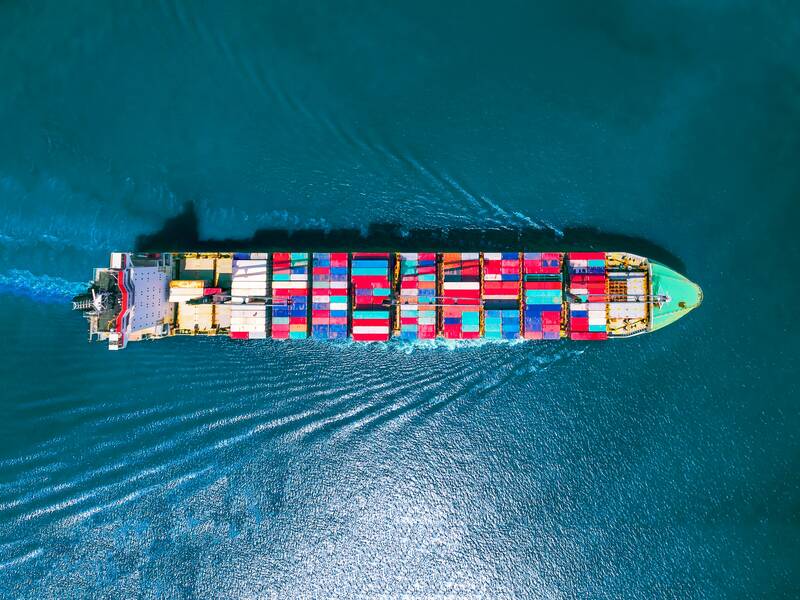 Nearly all ships run on fossil fuels, and many use heavy fuel oil, which spews black soot when burned and turns seas into a toxic goopy mess when spilled. Few international rules are in place to protect the Arctic’s environment from these ships, though a proposal to ban heavy fuel oil from the region is gaining support. In this analysis, Marie Baezner provides an overview of five cyber-related conflicts recently reviewed by the CSS. These include 1) the US-Russia cyber rivalry; 2) cyber and information warfare in the Ukrainian conflict; 3) cyber activities in the Syrian civil war; 4) tensions in US-China relations over cybersecurity; and 5) cyber and information warfare in European elections. 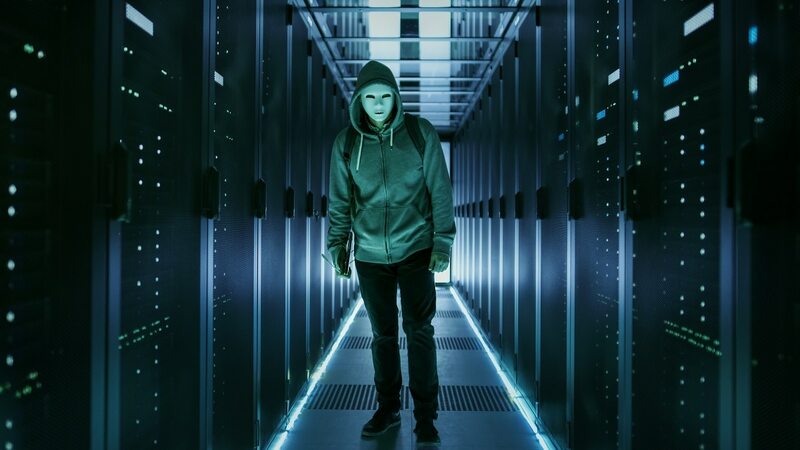 Through this review, Baezner also identifies key trends, including those relating to the politicization of cyberspace; how context shapes the use of cybertools; and disagreements between states regarding legitimate uses of cyberspace. “Why acquire secrets if you can’t keep them,” asks Jim Richberg, the national intelligence manager for cyber. To help lock those secrets away, the intelligence community is developing a new, comprehensive cyber posture that will emphasize the improved defense of networks and how the United States can leverage cyber as a national power, Richberg told Fifth Domain during a September interview, acknowledging the posture is still a work in progress. The posture is one of six pillars for the Intelligence Community’s new strategic vision. Participants of marketplaces on the dark web have been unmasked by the police, according to an expert. For years the secretive market for zero-day exploits — unpatched bugs in software or hardware — thrived in the dark corners of the internet. But vulnerability sales have been all but driven off the dark web, according to experts, and now operate in the open. The cyber intelligence firm FireEye has only recorded three zero-day sellers on the dark web so far this year, Jared Semrau, a vulnerability and exploitation manager at the firm, told Fifth Domain. That compares to the peak of at least 32 zero-day sellers in that marketplace in 2013, Semrau said. At Ignite 2018, Microsoft’s annual IT event, the company underscored the need for increased IT security and released an array of security programs and products. Among them are Microsoft Secure Score, a dynamic report card that assesses Microsoft 365 customer environments and makes recommendations that can reduce breaches thirtyfold, and Microsoft Authenticator, which helps make secure sign-on easier for workers with features like password-free login. The company also advanced its commitment to democratise access to AI through a new AI for Humanitarian Action program aimed at harnessing the power of AI for disaster recovery, helping children, protecting refugees and displaced people, and promoting respect for human rights. By SYDNEY J. FREEDBERG JR. Thus endeth the contest that went where military journalism hasn’t gone much. And apparently you neither, given the paucity of submissions. The morning of January 1st, 1968, began early and hot. My bed had been the ground laterite of the newly bulldozed berm at the Xuan Loc Airfield. It was occupied by my unit, the 52nd Vietnamese Ranger Battalion — or what was left of it. Tet had struck the day before, and half the unit had been airlifted to Baria to relieve the province chief’s house. In mid-lift, the remainder of the battalion was suddenly directed to occupy the airfield as it was under sporadic attack from the VC. The Tet Offensive had begun. The previous night we were under constant assault from all quarters of the city including a mass wave attack across the runway which we only tenuously held with the superb assistance of the 175mm guns adjacent to us which with zero elevation and a healthy dose of nose plugs, had swept the charging VC from our front. Day One ended well into Day Two. The U.S. Army should authorize commanders to allow combat troops to leave the service’s heavy, over-designed body armor behind on certain missions to increase physical performance, according to a new report from the Center for a New American Security. “Body armor provides increasingly advanced protection, but at a cost in soldier performance,” according to “The Soldier’s Heavy Load,” part of the “Super Soldiers” series of reports that Army Research Laboratory commissioned CNAS to conduct looking at soldier survivability. “Increased soldier load not only slows movement and increases fatigue, but also has been experimentally demonstrated to decrease situational awareness and shooting response times,” the report added. Elevated energy prices and the lack of internationally competitive exports will continue to drive Pakistan's high import bill and trade deficit. Spending cuts targeting development will narrow the budget deficit but at the cost of slowing growth and increasing unemployment. New Prime Minister Imran Khan's great challenge will be to balance his impassioned populism with a pragmatism required to govern Pakistan. As Prime Minister Imran Khan tries to set a new direction for Pakistani politics, his administration is urgently seeking to resolve the country's most serious macroeconomic challenge: boosting its dwindling foreign exchange reserves. As of Sept. 7, the State Bank of Pakistan's net reserves remained beneath $10 billion. That's less than the three-month import cover recommended by the International Monetary Fund (IMF), fueling speculation that Khan will turn to the U.S.-based organization for a bailout. Indeed, Finance Minister Asad Umar has unveiled a series of measures targeting the widening budget deficit ahead of an IMF delegation visit to Islamabad on Sept. 27. These measures include cutting more than $2 billion in planned development spending, doubling the tax rate on the highest income earners to 30 percent and hiking tariffs on 5,000 nonessential imports. 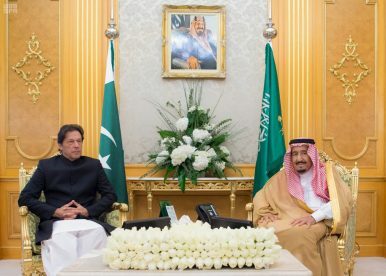 “Saudi Arabia has always stood with Pakistan in difficult times and the Pakistani government and its people highly acknowledge it,” Pakistani Prime Minister Imran Khan said on September 23, Saudi National Day. A month after he was sworn in as prime minister, on September 18, 2018 Khan embarked on his first official visit to Saudi Arabia. 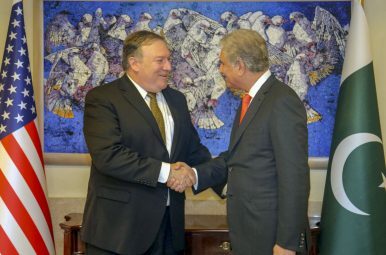 He was accompanied by Foreign Minister Shah Mehmood Qureshi, Finance Minister Asad Umar, Information Minister Fawad Chaudhry and Adviser on Commerce Abdul Razzak Dawood. The visit came days after the Saudi information minister visited Pakistan and met with Khan and other top civil and military officials. Khan’s choice of Saudi Arabia for his first official visit, concurrent with comments from his finance minister, led to much conjecture that the trip was actually a cover for a larger purpose — to seek a significant loan to avoid a complete IMF bailout. On September 15, 2018, thousands of Grand National Coalition of Afghanistan (GNCA) supporters closed the provincial offices of the Independent Election Commission (IEC) in Herat, Balkh and Kandahar Provinces after the Government and the IEC failed to positively respond to their demands. On August 10, 2018, GNCA set a 10-day deadline for a response from Government to meet their demands, including the use of a biometric system for elections, a change in the election system and a transparent poll across the country. GNCA also warned that it would close the IEC offices in Nangarhar, Kunduz, Bamiyan, Panjsher, Faryab and Jawzjan Provinces, if their demands were not met. Further, on September 17, 2018, supporters of GNCA set up tents and closed the provincial election office in eastern Nangarhar Province, launching a sit-in protest. Later, Police arrested 16 GNCA supporters on charges of disrupting the provincial election office and removed the tents. 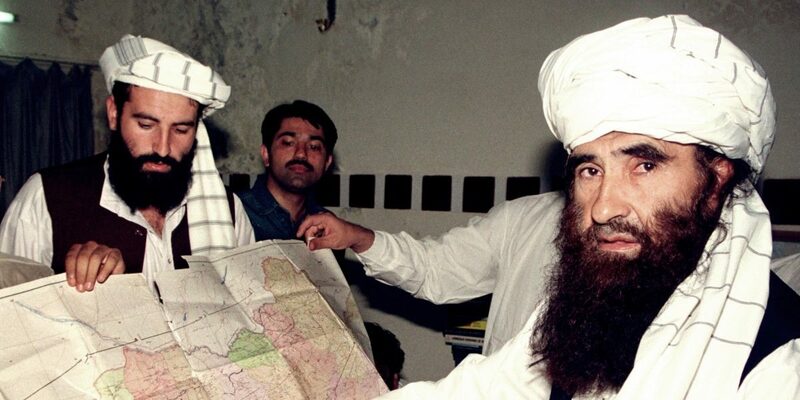 An Afghan by birth, the leader of the Haqqani Network was the first and foremost Pakistani jihadist proxy who took up arms against the Afghan state in 1973 – long before there was any Soviet or American presence in Afghanistan. The year was 1994 when a young sub-inspector of the Punjab police had stopped a convoy of double-cabin vehicles on their way out of the twin cities Islamabad-Rawalpindi, heading towards Peshawar. The young officer had spotted tens of armed men in those trucks and was debating whether he – with his tiny posse – should insist on inspecting the ominous-looking entourage or not. The officer thanked his stars when a wireless message from higher-ups came through, telling him to clear the motorcade without inspection. The officer told me that he still did not know who Haqqani was but waved him through! Great power competition in Asia is not only about control of critical waterways in the South China Sea, but also about who controls Asia's fresh water. The future of Asia's water—upon which about four billion people depend—lies in China's hands. Through its presence in Tibet, China controls the headwaters of ten of the eleven major rivers of Asia. So far, China has taken a relatively cooperative approach to sharing water with its neighbors as part of the systematic consolidation of its "soft power" over downstream countries. But climate change and rapid growth are threatening to upset this delicate diplomatic balance. What happens when China's own thirst outpaces its resources? 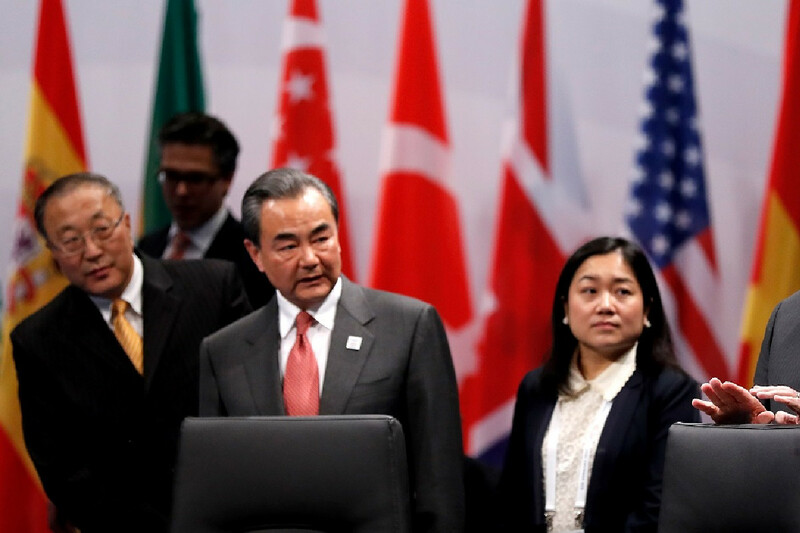 And how will China's choices affect U.S. interests in the strategic Asia-Pacific region? China releases white paper on facts and its position on trade friction with U.S.
BEIJING, Sept. 24 (Xinhua) -- China published a white paper on Monday to clarify the facts about China-U.S. economic and trade relations, demonstrate its stance on trade friction with the United States, and pursue reasonable solutions. Excluding the foreword, the 36,000-Chinese-character white paper is comprised of six parts, which are mutually-beneficial and win-win China-U.S. cooperation in the trade and economic field, clarification of the facts about China-U.S. trade and economic relations, the trade protectionist practices of the U.S. administration, the trade bullyism practices of the U.S. administration, damage of the improper practices of the U.S. administration to global economy, and China's position. WASHINGTON — President Trump is confident that the United States is winning its trade war with China. But on both sides of the Pacific, a bleaker recognition is taking hold: The world’s two largest economies are in the opening stages of a new economic Cold War, one that could persist well after Mr. Trump is out of office. Mr. Trump intensified his trade fight this week, imposing tariffs on $200 billion worth of Chinese goods and threatening to tax nearly all imports from China if it dared to retaliate. 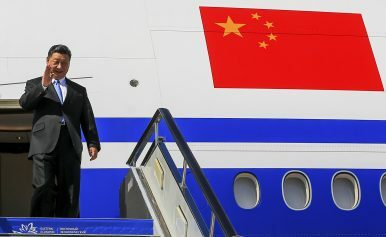 His position has bewildered, frustrated and provoked Beijing, which has responded with its own levies on American goods. PHNOM PENH, Cambodia — The worsening trade war between the United States and China has intensified pressure on companies to leave China and set up factories in places like Cambodia, a verdant country of 16 million people with low wages and high hopes. But anybody who moves here may have to deal with the water buffalo. Huffing, snorting and in no hurry to move, the big-horned bovines occasionally meander across the Khmer-American Friendship Highway, the dusty, 140-mile route linking Phnom Penh’s factories with the port in the coastal city of Sihanoukville. They are not the only potential obstacles. At quitting time, factory workers heading home on foot and motorbikes clog the road. The government in Tehran made its move. Now, it’s being boxed in. An interesting thing happened last week. A Russian reconnaissance plane was shot down by the Syrian army, so naturally Russia blamed Israel, claiming that Israel used the plane to shield its own fighter aircraft, en route to strike Iranian positions in Syria. Interesting though that charge may be, it’s far less fascinating than Moscow’s other quibble – that the Israelis had failed to give the Russians sufficient warning that they were entering Russia-controlled airspace in Syria. This runs counter to an arrangement whereby Israel, Russia and the U.S. pledged to inform each other about aircraft movement, so congested have the skies there become. In other words, the Russians didn’t object to the fact that Israel entered Syrian airspace – they objected to the fact they weren’t given much of a heads up. Yes, Iran’s Economy Is Suffering—But It’s Not All About the U.S.
Iran’s currency, the rial, has lost two-thirds of its value in the last six months, much of it after the United States formally withdrew from the nuclear agreement in May. In Washington, the fall of the rial is widely seen as a consequence of U.S. sanctions and a sign of economic collapse that could bring down the Iranian regime. While the first claim is generally true, it is overstated, and the second is based on false assumptions. Although U.S. President Donald Trump has hurt the Iranian economy, the unexpected depth of the rial’s decline owes less to U.S. policy than to poor decision-making in Tehran and structural weaknesses in Iran’s economy. A proper understanding of the factors that deepened the crisis suggests that the country’s acute hardships may ease or disappear as Iran adjusts to the new situation. Iran’s foreign exchange market needs to be understood on its own terms in order to avoid the common mistake of equating the fall of the rial in the free market with economic collapse, rising poverty, and increasing protests that can weaken the regime. Six months after the attempted assassination of Sergei Skripal, a former Russian double agent in the United Kingdom, details about the suspected killers are finally coming out. According to British prosecutors, the two men named as suspects belonged to the GRU, Russia’s military intelligence service, which is the very agency Skripal worked for when he was a British spy. On the one hand, these alleged ties attest to the GRU’s aggressive agenda—something of which governments in the West should be wary. On the other hand, an excessive focus on this service, as well as an emerging narrative about its supposed clumsiness, is dangerous. The White House has revealed massive mission creep in Syria. Here’s why. The Islamic State is on the brink of total military defeat ― but don’t expect U.S. troops in Iraq and Syria to be coming home anytime soon. The Islamic State’s caliphate has collapsed. 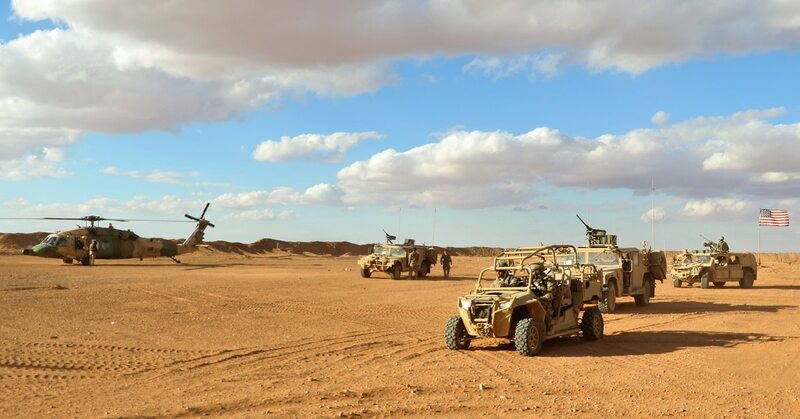 They have almost no territory remaining except for a small piece of eastern Syria and the militants appear to have very little combat power left. At the same time, ISIS is losing its international influence as terrorist attacks in the West are declining. And the latest intelligence reports suggest the group has very little ― if any ― operational control over its affiliate groups in other countries in Africa and beyond. Yet top U.S. officials at the Pentagon and the White House are avoiding anything that sounds like a declaration of victory. As the standoff between Ukraine and Russia intensifies in eastern Ukraine, the Sea of Azov will become a new area of contention. Both Ukraine and Russia will increase their military presence in the sea, and Kiev has already announced plans for a new naval base there before the end of the year. The military buildup could lead to growing economic disruption of shipping in and out of the sea. Russia is stronger than Ukraine on the sea, but robust U.S. support for Kiev could alter the situation in the area.